Street Racing – so what’s so new about it? Over the last week or so the NSW state government, police force and Australian media generally have put under the spotlight the tendency of drivers to “race” their motor vehicles on the streets. This current focus has been brought on by the recent tragic deaths of an elderly couple quietly returning home after a night out at a local venue. They were killed when their car was hit by 2 other vehicles travelling at high speed on a public road, allegedly “racing” each other. There has since been much spoken and written about the incident and other similar incidents. Many people are asking why it is allowed to continue, what drives people to race their cars on the streets, and how it can be stopped. It is my belief that such activities can never be wiped out. That’s not to say that I condone such behaviour. Man is, by nature, a competitive beast. Like the rest of the animal kingdom, we are genetically pre-disposed to strive to out-do our peers to get to the top of the heap and be seen as the strongest and quickest to ensure the “survival of the species”. This clearly extends to every facet of human endeavour. Therefore, it will be impossible to stop it without turning the human species into an evolutionary backwater that will stagnate and eventually fade away (we’re probably going to do ourselves in as a species anyway, but that’s a whole different subject). These activities continue to happen due to the NSW Government’s inability to maintain adequate police numbers actually on the roads being policeman. Premier Morris Iemma claims that they are providing additional police, however the problem with that is that his government is merely bringing police numbers back to levels from which they have gradually been allowed to decline. The government has not increased the numbers of police to keep pace with the growth of the population and many more need to be added to our police force. A more visible presence of police on the roads will go a long way to reducing traffic infringements in general. More police on the roads is one piece of the puzzle to reducing this so-called “anti-social” behaviour of street racing. But more than just police on the roads is needed. The NSW Police Commissioner, Ken Moroney, has suggested seizing the vehicles of people convicted of street racing and crushing them into a small cube and putting the cube in the offenders front yard as a reminder. This idea simply isn’t workable. Mr Moroney cites overseas examples, such as in southern California, USA, and in England, of this practice. But it hasn’t stopped the street racers in either of those places, so clearly it doesn’t work as a way of stopping the practice. It seems to me that the best way of combatting the situation and reducing the risk to the majority of road users lies in better driver training – something I’ve always been a strong advocate of. The NSW driver’s licencing regime for motor vehicle drivers is nothing short of a farce. There needs to be a mandatory requirement for all learner drivers to attend a car control course where they are able to learn, in a controlled environment away from public roads, what an out of control car feels like and how to avoid getting into those situations, or if they do find themselves in situation then they will know what to do and not freeze in panic. This needs to be extended to a refresher course at the time they graduate from their red “P” to their green “P”, and perhaps again when they graduate to their full licence. In fact, it wouldn’t be a bad idea for it to be a compulsory requirement that people must attend such a course on a regular basis, say every 5 years. These courses not only teach people the physical skills, but they also focus on the mental attitude of drivers which I think is a major factor. There are those that say these courses are a bad thing as they give the trainees a false sense of security and actually increases the risk they will do something dangerous. To these people I say RUBBISH. From personal experience I can say that idea is a load of crap. I have watched family members go from being inexperienced panickers that simply froze if the car or traffic around them did something unexpected, to being confident drivers able to cope with pretty much any situation day to day driving can throw at them. I’ve seen the evidence first hand that these courses save lives. As to reducing the incidence of street racing, might I suggest firstly that, as part of their punishment, anyone convicted of such an offence be forced to do community service in a hospital trauma ward helping to tend to those injured in motor vehicle accidents? Secondly, if the convicted driver is guilty of actually injuring other people, then that driver should be made to face the families of the victims and see the grief and torment their actions have caused. And to those that ask why we have to have such powerful cars on the roads, the amount of power of a motor vehicle will make no difference (and do you wowsers realise that the more powerful vehicles are safer than the tinny gutless offerings you favour, because of the features built in to cope with the increased power?). Human beings will pit themselves against their fellow human beings at any opportunity – we can’t help it, it’s our destiny…. 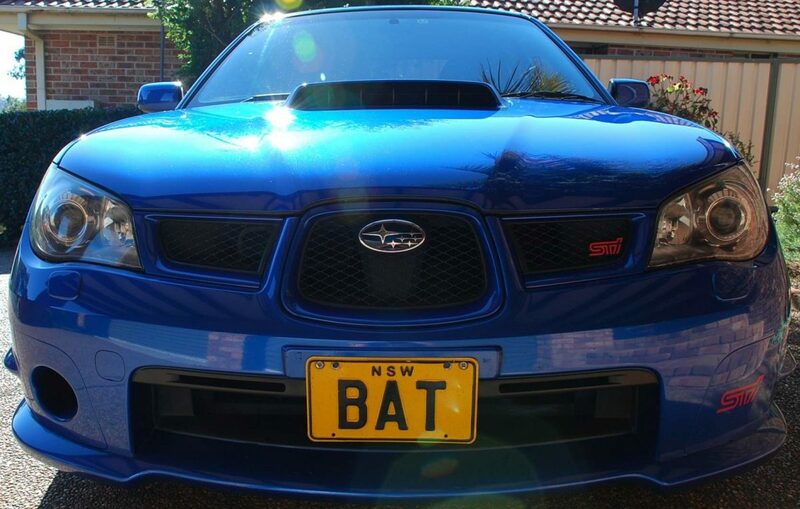 Author BATPosted on August 7, 2007 March 30, 2019 Categories Politically Inclined, RandomnessTags Australia, AustralianLeave a comment on Street Racing – so what’s so new about it? Will anything of substance come from the current gabfest on what to do about our P-plate drivers? I’m predicting we’ll simply see a range of draconian rules instituted that will prove of little value. Why? Because there’s no point having rules if you don’t have the “referees” to see that they are being obeyed. In this case, I use the term “referee” to mean police. One of the surest ways of making sure that drivers adhere to the road rules is to have a highly visible police presence actually on the roads. We don’t need more rules for these new and inexperienced drivers – they’ve already got enough to learn and think about. What is needed is better education (both in attitude to driving and actual driving skills). This, combined with a more visible police presence, will do far more than trying to legislate a solution to the problem by creating even more road rules. The current NSW Government seems to think that by cutting spending and reducing the police force’s manpower and using static speed cameras instead is good management. How wrong they are! This is a very good example of what happens when a Government tries to do too much with it’s resources and tries to run everything on shoestring budgets. In my opinion, the NSW Government should make spending money on infrastructure an absolute priority, and put the minority projects back in their rightful places at the bottom of the “have to be done” list. Public funds should be giving priority to health (hospitals, etc), schools, public transport/roads and our police force. The NSW police force has been shrinking for a number of years now, and it needs a drastic increase in numbers (i.e., we need hundreds of officers added to the force) just to get back to the level it was 5 years ago, and more still to get it to the appropriate ratio for our population level. If ever there was a case of “Nero fiddling while Rome burns” one only has to look at what the NSW Government is doing. Might I suggest that the two Ministers responsible for police, roads and transport issues in NSW (Mr Eric “Bus Lane” Roozendaal, and Mr John Watkins) get together and work out the priorities of their respective Ministries, and then go to their Premier, Mr Morris Iemma with a co-ordinated plan. In fact, perhaps Mr Iemma, as the Minister for State Development, needs to demonstrate some real leadership by making some hard decisions on spending priorities and then start cracking a few of his Ministers’ heads together to make them wake up to reality. Tuesday, January 2, 2007, marks the start of a tremendously important game for both the Australian and English cricket teams. The English team, on the other hand, are looking to avoid the embarrassment of losing the Ashes 0 – 5 just 12 months after they won them. They are looking to retain some smidgeon of the pride they gained when they won the series on home soil in 2005. It seems to me the only hope the English team have of avoiding a whitewash lies in the weather forecast for Sydney over the next week. Although, given the way the English team have capitulated in the previous games of the series, I reckon it would take 4 days of rain to give the English any chance of avoiding a whitewash. Ok, so it’s my first Christmas with a blog. Please don’t hang me for being so trite and mundane as to do what I expect nearly every other blogger has done/is doing – wishing their readers a Merry Christmas. To me, the Christmas/New Year season is a time to reflect on the year just past, and enjoy time with one’s family members. For many this is not easy, a fact I know from personal experience. Nevertheless, I believe this is the one time of the year where we should make the effort to go that little bit further to show our family, friends, and even people we don’t know, that we aren’t all arseholes or Scrooges (you, in the back row, was that a “Bahh, humbug!” I just heard?). I care not what your religious background and beliefs may be. You are as entitled to them as I am to mine. I do believe, however, that NO religion intends to inflict pain or suffering on any member of the human race, nor for that matter members of the other species that inhabit this fragile little world of ours. It is mankind that creates wars and conflict in the name of religion, not religion itself. Sadly, it seems the only way we can protect ourselves from people with tyrannical and megalomaniacal tendencies is to fight back, and defend our way of life. What brings these people to want to cause such trouble? Intolerance for their fellow man, for one thing. Warped views of societal structures other than their own, for another. Whatever the cause, why can’t they just learn to live in peace with the rest of the world, and learn to tolerate, indeed rejoice in, the many variations of humankind and our society? To all those that perchance come across my humble blog, I wish every one of you a peaceful and joyous Christmas season (whether you believe in that particular religious system or not) and success and prosperity in your endeavours in 2007. The winner of Australian Idol 2006 is Irish born Damien Leith, who has reportedly applied for Australian citizenship but is not yet an Australian. Whilst his musical talent is unquestionable, is it really proper that the winner of Australian Idol is not an Australian, either by birth or by application for citizenship? Personally, I congratulate Damien on achieving his success but I can’t get rid of this feeling that somehow we’ve been cheated. John Howard’s Industrial Relations Reforms – is he for real? Johnny, Johnny, Johnny… what in heaven’s name are you on about? A few days ago, Australia Prime Minister John Howard was reported as saying that Australian workers must come to terms with the fact that the 5 day working week was dead. Johnny – I suggest that if you want this concept to gain acceptance in the community, then you better start by getting your own Government department offices to change their habits. Have you ever tried to deal with a Government office on a weekend? Try telephone a Federal Government department, for example, the Australian Taxation Office, on a weekend. You’ll either receive a recorded message advising the office is closed and giving you the “normal” office hours to call back within (and their idea of “normal” seems to be along the lines of 8.30 am to 4.45 pm), or you’ll end up being put on hold and having to listen to that infernal “muzak” noise indefinitely because there is no-one there to answer your call. Until such time as the Federal Government’s own offices start to work within the boundaries of Mr Howard’s grand vision then I, for one, refuse to take Mr Howard seriously in respect of this issue. Were I to be cynical, perhaps this ploy is Mr Howard’s first salvo in re-arranging the Government’s own workforce to come into line with arrangements that exist in the private sector? If so, Mr Howard is overlooking the fact that, traditionally, Government sector employees have always been at the forefront of the changes that have led to the employment scenario we have in Australia today. Therefore, it will be a very tough battle for Mr Howard to roll back the benefits Government sector employees currently enjoy. The Government sector trade union is very strong with virtually 100% membership. I think it would be fair to say that these employees would be quite prepared to undertake industrial action in the fight to retain their working conditions. I’ll say it again – if Mr Howard wants to be taken seriously on this issue, he MUST first get his own house in order. Author BATPosted on November 29, 2005 March 29, 2019 Categories Politically InclinedTags AustraliaLeave a comment on John Howard’s Industrial Relations Reforms – is he for real?